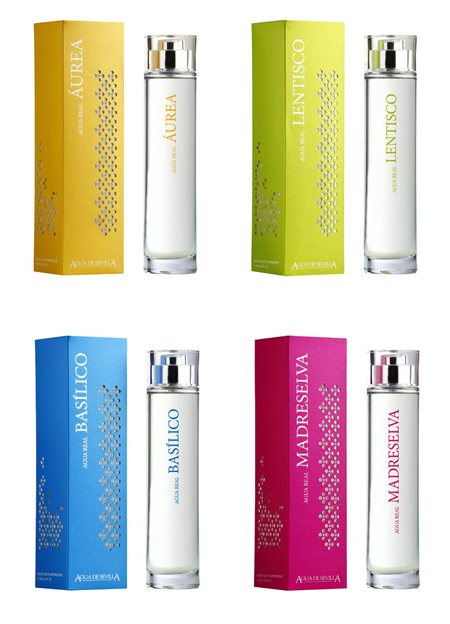 Agua Real Aurea, by Agua de Sevilla, is part of Agua de Sevilla's line of Aguas Reales. 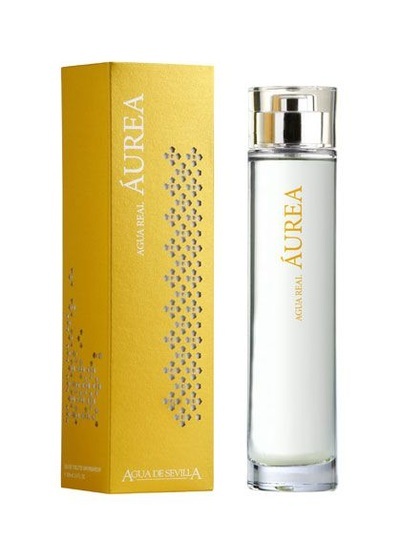 It is floral, ozone and watery fragrance for women. It reminds a warm morning sunshine when the fresh sensation harmonizes and sublimates us. It also transmits sensuality and seduction. Top notes are bergamot, mandarin orange, pomelo, lemon, orange blossom, white tea, seaweed and water lily; middle notes are sage, cypress, tarragon, nutmeg, cardamom, jasmine, parma violet, yellow water lily, white tea, apple blossom and melon; base notes are patchouli, sandalwood, vetiver, tonka bean, amber and iris.